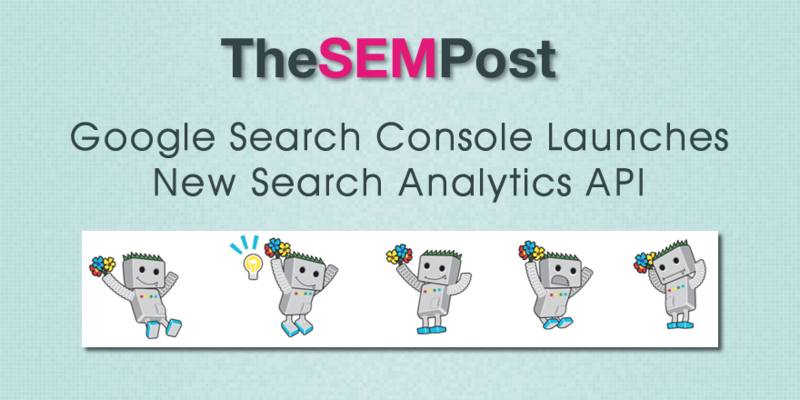 Google has announced the official launch of Search Console’s new Search Analytics API. They are also asking that webmasters share the cool things they are doing with the API. I suspect it won’t be long before we hear of some of the tools that are developed from this new API. Full documentation for the new API can be found on the Google Developers site here. The new Search Analytics API is also officially listed as Version 3, with the former Google Webmaster Tools API listed as being versions 1 and 2. The Search Analytics API has actually been in testing since May, when Google began asking for beta testers. However, not much information came out at the time, as testers were all required to sign an NDA. It also followed the closure of the Google Webmaster Tools API earlier this year.